I have more than 25 years of experience teaching and tutoring math from Pre-Algebra through Geometry and Algebra II. I have taught math in grades 5-11 to students of all abilities in independent and public schools from Massachusetts to Delaware, including my most recent positions at Milford High and Delaware Military Academy. I take great pride in helping students realize that they can be successful at math, as my strength lies in my ability to explain both the "how" and "why" of math on terms that students can understand. I have had terrific success with SAT Prep tutoring both in a classroom setting and in one-on-one situations; with some students raising their math scores as much as 100 points. I have taught SAT prep classes to small groups at Milford High School, St. Thomas More Academy, and Delaware Military Academy over the course of the past 14 years. Additionally, I have tutored individual students privately. In all cases, parents and students have been happy with the improvements that they have seen, and one student was able to raise her score from 610 to 710 after only 4 1-hour sessions. I focus on both skills review and test-taking strategies. I require that students do additional practice outside of the instructional sessions, as practice is the single most important key to improvement. There is no substitute for becoming familiar with the format of the questions in concert with the review of skills and strategy development. He is very patient and related with my daughter very well. I like the way he teaches her and his explanation about the topics they are working on. We are just starting, I can't say much for now. I'm still observing what they are doing but I can tell I am very pleased with the last two lessons. James was quick to identify weak spots in my child's knowledge and is working with a limited window of time preparing my child for the SAT exam. Although we may not get completely there, I am confident James will be able to help improvement markedly so there will be a chance of obtaining a decent score on the exam. I wish we had started sooner. I look forward to my child's next session with James. 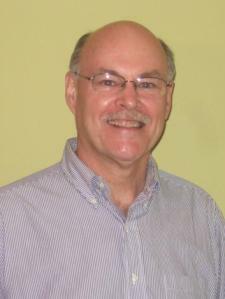 James R. has a vast knowledge of math and an incredible ability to tutor! He's very patient and kind and gives the student the extra sense of confidence needed! Wonderful tutor!! So glad we decided to do it! I've seen a dramatic difference in just 5 lessons! From f's in math to high c's & b's!! He's sooo patient & teaches them in a way they retain so it can be applied later. I can not say enough about Mr. R.!! Lifesaver! !